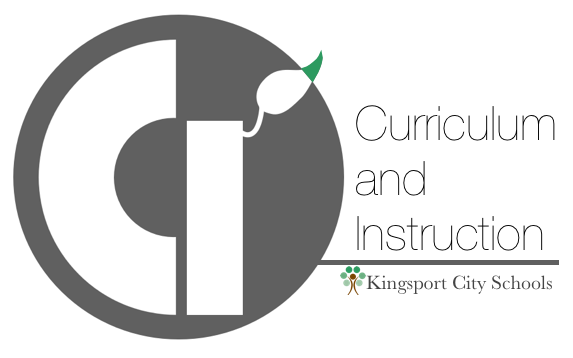 The KCS Curriculum and Instruction (C&I) Team works collaboratively with teachers, administrators, and community partners to ensure all students have daily access to engaging and highly effective instruction. The C&I department is also focused on making sure all educators have access to relevant, timely, and ongoing support. We will provide a welcoming and supportive professional learning culture that is solutions and student focused. Our department will recognize and celebrate the diversity of our educators in their journey as professionals working to develop their craft through professional learning communities. We will support a challenging, rigorous, and developmentally appropriate guaranteed and viable curriculum that addresses individual student needs and is focused on academic growth. We will be open to feedback, from a variety of sources, for continual improvement as a department. We will celebrate the successes of educators and focus on the purpose of our work—improving the lives of students through education. We will lead through kindness, understanding, and respect. Using these commitments to guide its work, C&I supports educators in implementing the defined vision for KCS students. This vision is to engage students in deep learning by integrating the KCS professional learning community processes with highly engaging student learning and job-embedded, ongoing professional learning for educators. Leadership, innovation, and key practices in the KCS Guiding Tenets support the alignment, design, and action that will lead to our desired future. The C&I team reflects Kingsport City Schools commitment to providing all students with a world-class and student-focused education that ensures college and career readiness. Along with the framework for Transforming Teaching and Learning to Engage Students, KCS educators are empowered to establish a culture of innovation-age learning, provide learning opportunities that are authentic in building knowledge and exhibiting proficiency, and respond to student learning in an individualized way. Named to 2015 & 2016 Best High Schools lists by Newsweek and U.S. News & World Report (D-B). Named to 2015 & 2016 Most Challenging High School list by Washington Post (D-B). KCS made the 2014 & 2015 College Board’s 5th/6th Annual AP District Honor Roll. KCS completed implementation of 1:1 initiative grades 4-12. July 2016, KCS implemented the Community Eligibility Provision (CEP) Program to offer “No Cost Meals” at all Title I schools. KCS received coding grant from Emerald Data Systems which will allow coding opportunities and professional learning for K-8 students in Title I schools. May 2016, D-B EXCEL received the prestigious Blended Learning Universe (BLU) school designation. May 2016, D-B AF JROTC named Unit of Distinction for 10th consecutive year. December 2016, received 2016 Governor’s Award for Excellence in Early Foundations: Excellence in Promoting Physical Activity and the first annual School Bell Award for the Morning Mile Program (Adams). May 2016, Journalism Advisor named Youth Journalism International Journalism Educator of the Year by YJI (Sevier). Won more than 50 conference, district, and regional athletic titles, including several state championships and state tournament participants (D-B). D-B Marching Band considered by many to have just completed the most successful four-year career for a high school band; played on some of the biggest stages in Tennessee and across the nation (entertained dignitaries from the Mayor to the President of the United States). Marching Band earned finalist status at Bands of America Grand Nationals (D-B). KCS is a 2015 Healthier Tennessee Workplace. November 2015, KCS was awarded the 2014 Achievement Award in the annual Excellence in Tennessee Recognition Program by the Tennessee Center for Performance Excellence (TNPCE). August 2015, KCS Superintendent Dr. Lyle Ailshie was appointed by Lt. Governor Ron Ramsey to the Academic Standards Recommendation Committee. March 2015, KCS was named a District of Distinction by District Administration Magazine. March 2015, KCS Board Vice President Susan Lodal and Roosevelt Elementary Associate Principal Valerie Love were appointed to a special Tennessee Task Force on Student Testing and Assessment by Tennessee Education Commissioner Dr. Candice McQueen. October 2014, KCS was named the top school district in Tennessee as winner of the 2014 SCORE Prize District Award by the State Collaborative on Reforming Education (SCORE). October 2014, KCS Superintendent Dr. Lyle Ailshie was recognized by the Center for Digital Education (CDE) as one of their Top 30 Technologists, Transformers, and Trailblazers in their annual publication. August 2014, Dobyns-Bennett High School was named by The Daily Beast as one of America’s Top High Schools for the second year in a row. Since 2013, More than 20 KCS administrators have been appointed to the Tennessee Center for Performance Excellence (TNPCE) Board of Examiners.